Architect Tes-Nan HSIU had passed away on Feb. 2016. 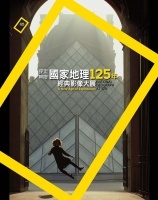 To commemorate her achievements, Architectural Institute of Taiwan edits this special volume of 2017 spring. Through getting closer to her architecture, we expect to trace women's spatial practice for architectural education and profession in the postwar world. Criticism has to take a certain standing. Constructive criticism has to base on solid ground: methodology of inspecting the truth, and the historical understanding of the overlooked or the excluded. The first priority of criticism is to replenish history with a sounded methodology. However, the cycle and effectiveness of architectural criticism is not as what modern architects thought. The birth of Pallas Athena in Greek mythology was very different from that of Venus, the Goddess of Love, who was born in a shell and fancy bubbles. The goddess breaks out from Zeus’s head, already fully grown and armed in golden armor. She is the beautiful, tough and clever one: she is the goddess of knowledge, arts, crafts, learning, justice and wisdom. Contemporary architecture has passed the stage of elevating absolute value and authority. Architect and architectural critics of our time attempt to establish and define, for individual or common architectural creation, its unique track amid the flow of history. With the elaboration and record of a diverse array of architecture criticism, through a continual observation, we may thus capture the contour and significance of contemporary individual architecture. 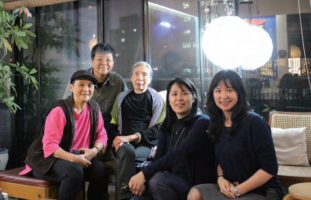 The characteristic works of architect Tes-Nan Hsiu embodies diversity. 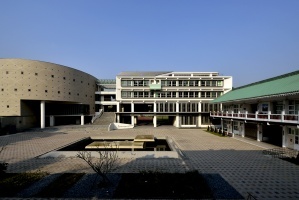 It enriches the postmodern looks of post-war architecture in Taiwan. 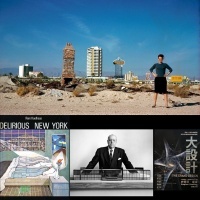 In just two decades between 1959 and late 1970s, the grand spectrum of "images" of her works include her reading, conversion, fusion and digestion of architectural languages and contemporary thoughts--including functionalism, eclectic revivalism, expressionism, organism, and garden city at the least. Architectural design stands for the ability of integrating resources and seeing clearly where you are. For 15 years, I have been motivated to design and to teach, with the intention of establishing my works and my existence as a witness. I want those girls who are passionate about architectural design dare to go after their dreams when they witness me. Today, girl students are as many as boy students. This is a good sign. However, independent practice female architects are still rare. Learning architecture indicates power. I believe women should gain more spaces in architectural education, so that women’s agenda and defense for architectural space will be heard and seen. I encourage women to be themselves, to speak out their mind with courage, and not to absent in terms of architectural and spatial public issues. Your future should not be defined by your race and your gender.